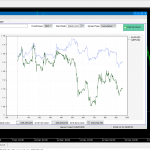 FA Trading Manager allows the analysis of the performance of two or more financial instruments, and allow you to appropriately open positions in Spread. In addition, there is a Graphic Manager who will manage and close the group of positions when the target is reached. All this through a practical and intuitive graphical interface. No renewal costs on the second account (and subsequent). Between 65% and 89% of retail investors lose money when trading with CFDs. You should consider whether to deal with this high risk of loss. All contents of this site are for informational and training purposes only. It is a diary of my personal trading and notes on my personal experiences on online trading. 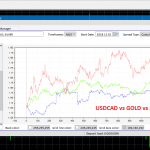 Forex and CFDs are leveraged products. These investments may not be suitable for your finance ability and incur high risks. Invest with caution and informed. The pages of this site does not constitute a solicitation of investments. Anyone trying to replicate the operation or follow the forecasts and any advice given in this website does so under his only and entire responsibility. 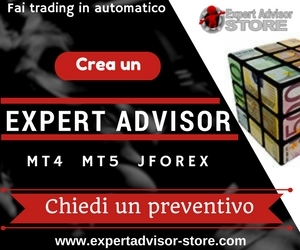 The reader should be aware that speculation in the stock market involves high risk therefore advise against taking any action to those who believe they bet their money without risk on our indications expecting a consistently positive result. The final decision will always be in the exclusive competence of the reader. All information contained on the site is provided for informational purposes only and does not constitute solicitation for investments of any kind. We are not a broker, not a bank, not an investment company, not a financial intermediary and we do not provide any financial service, investment or trading, therefore, we are not responsible for any loss suffered by the visitor. Moreover, tradingonlineplus.com does not guarantee the accuracy or completeness of the information provided, and is not responsible for any error, omission or inaccuracy.